The live chat will run on the Great Gray Owl Cam. Have questions for Denver? Submit them in the comments below and we look forward to hearing from you all on the live chat! 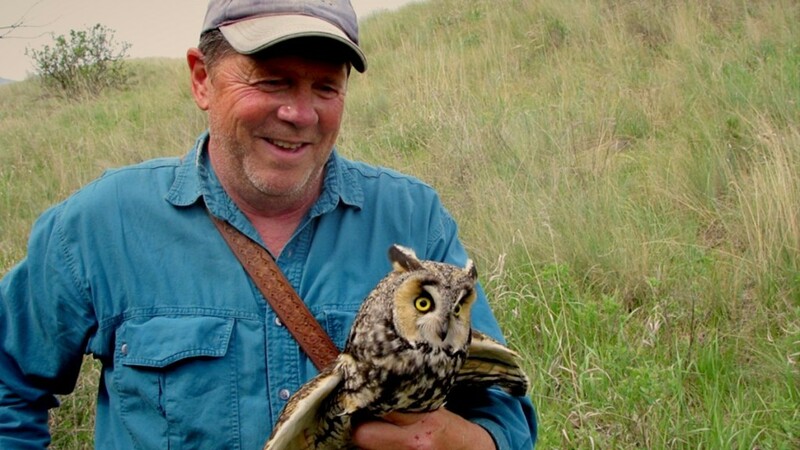 Hi, what is the single most important thing that individuals like me can do to help protect owls? And – thanks for all you do! What surprise or new information did you see with the Great Gray Owl cam that you didnt have before this nest season? Thank you! What information did you acquire from your recent trip to Alaska to study the snowy owl? Are most all species of owls on the verge of becoming extinct. I admire the work you do so much and I thank you for all you do. The GHOs are doing well. They are in every state and Canada, they have adapted to the different environments across the US. Did the GGOs nest in that same tree cavity last year? Now that you have found them will you try to have a cam on them next season as well? We all hope so! Will the GGO’s parents or owlets stay in the area? Thank you Mr. Holt for all you do for the owls and to educate us further on the Grey Great Owl. Do you think they will use the nest tree next year for our viewing? I loved the experience. Those adorable owlets and dedicated parents…I also loved the Great Horned Owl family. I was wondering if that nest will be reused again also? Well you be having the cams up for next season GGOs? and will you leave the cam’s on year round? Also would like to know what happened to #3, if you do know.. The LEOW nest was outside of the camera location. Was the nesting pair for 2017 the female we have watched in 2016 and 2015 or was this a new female? What kind of hawk had the nest the GHO took over this year? Was that you we saw walking around near the cam on Thursday or someone else from ORI and what were they picking up? Was anything found from the “blob” on the fence and was it owlet feathers? Thank you so much for all you do! 1) Are there any plans to add any more cams to the area to be able to extend the viewing area and time of the owlets and family once they leave the nest? 2) What happened to our precious #3 owlet after s/he was found? Much appreciation to ORI, Explore/CamOPs and the Property Owner for providing us with this opportunity to observe and learn through this incredible experience! Do you know if the pair of GHOs we watch this season a pair we have watched in prior years? If yes, which year(s)? Like the GHOs and LEOs, do great gray owls also hijack other bird’s nests? If no, will the great grays use this nest next year? I think we saw a hawk arrive on the GHO nest one day. Do you think the nest belonged to the hawk? Will the hawk use it again after the GHO moves out? What is the largest food the GGO will take? Does food available play a role in the eggs laid? Thank you, explore, cam ops, and the land owner for this great experience. I hope that I can witness it next year. At the time banding was done on the GGO’s, I saw some chatter that testing had also been done to determine gender, but no formal announcement. Can you confirm or put this to rest, and if confirmed, what were the results? Thank you. How far will the GGO owlets disperse? What was learned with the cams that was new or unexpected? Many thanks to ORI and the landowner – I love owls. What educational opportunities, are available at the Owl Research Institute. Anything similar to courses offered at the Yellowstone Institute? The GHO.. awhile ago Charlie (the Osprey) was knocked off his perch while sleeping by a GHO. Was the owl attempting to take Charlie? And do you know who many owls in that area? Please tell Both Landowners GGO And GHO.. they have givin us a gift .. and both properties are very beautiful and very special.. I hope they know just HOW much we appreciate.. Denver? How much info do you get from explore/Diquis chatters? What are your thoughts on human intervention in certain situations, especially since technology allows viewers to witness these events as they play out? We are hoping that the GGO cam will stay up longer, even if the GGO family moves on…Is that a possibility? Does ORI have any video of Charlie or other osprey fishing at Ninepipes Reservoir? Hello – The picture of you holding the Long Eared Owl is really cute, the owl looks adorable and not stressed out at all. What is the back story on that picture? Thank You for giving this Alabama Lady a chance to view these beautiful raptors!! 2 questions please, Do you name or number GGO offspring & Do you know how long the landowners have known about this nest? How are the snowy owls doing in Barrow? Has the lemming population rebounded? Is there still a camera at the 2016 GHO location in Charlo….last fall and winter the cam operator would pan the location giving us views of beautiful scenery, sunsets, birds, and wildlife. Do owls and eagles get along? Who would win in a adult fight? Was your trip to Alaska successful, and is the Snowy Owl population rebounding? Spoke to you first of June about trying to lure a screech owl to a new nest box. I have heard the screech owls, but have not seen. Do you think by next year, I may have a pair? I’m sorry you can’t hear my Southern accent, lol. what type of information is gathered by the Owl Research Institute and how is it used? Is it unusual for a research team to intervene with wildlife as was done when the owlet fell out of this tree and was placed back with its family?